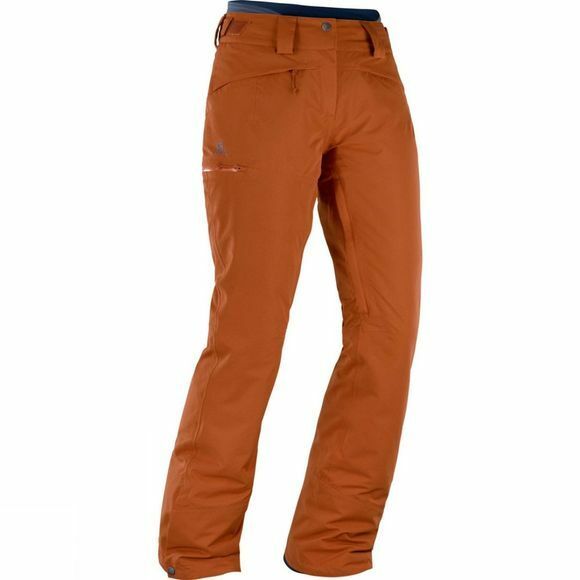 The women's Qst Snow Pant from Salomon is designed to maximize comfort while providing a complete seal from the elements. The back of the waist is a yoga-inspired stretch gaiter. 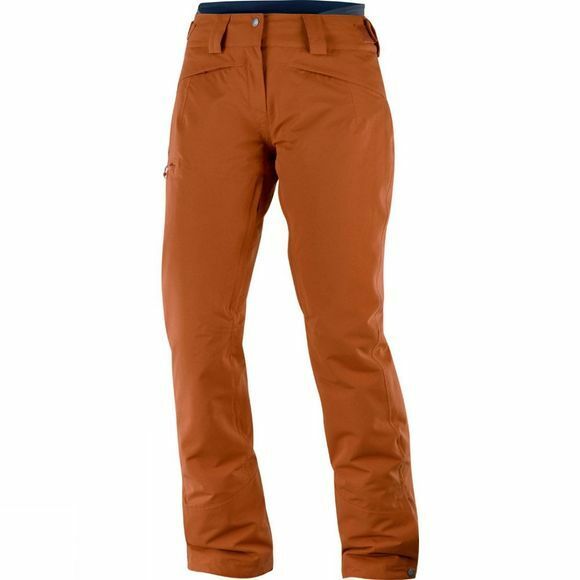 It stretches to maintain coverage when crouching or bending, so no more snow down the back of your pants, ever.